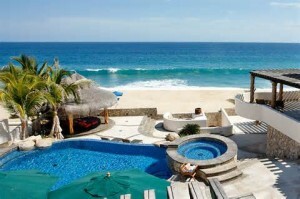 Your rental options for a home in Mexico may vary based on the length of your stay and your purposes in visiting. A family vacation, for example, may be handled differently than a long-term stay as a snowbird. There are several approaches to finding a home to rent, and you may need to visit in advance if you are coordinating a long-term stay. Your Mexican insurance for autos from MexicanInsuranceStore.com needs may vary based on the length of your time in the country. You can get a short-term Mexican insurance policy if your stay will be less than three weeks, but a long-term policy is more cost-effective if you will spend more than three weeks in Mexico. Mexican Insurance for Autos from MexicanInsuranceStore.com is now required in order to drive on any highway in Mexico. You might choose to go through a real estate agent who works in the area you have in mind, arranging for a location that is available at a reasonable price during your planned travel time. You could also search online vacation rentals in your community of choice. In many cases, you can get a perspective of the design and quality of each prospective home prior to making a decision. It is also helpful to read the reviews of previous individuals who have stayed in the location. Payment for such online listings may be handled by credit card in advance of your travel, allowing you to work in your own currency rather than worrying about fluctuations in the exchange rate. If you are going to stay in connection with a service project, the organization with which you are partnering may have residential options for you, alleviating your need to seek a home. If you are traveling independently, it’s wise to consider working with a reputable realtor to find a site that suits your needs. Arranging for your Mexican Insurance for Autos from MexicanInsuranceStore.com in advance may enable you to drive down ahead of time to inspect the site and arrange for utilities so that you don’t arrive to find a lack of electricity, propane, water or other needs. Your Mexican insurance policy needs to cover your vehicle at all times that it is in the country, and it is specific to the vehicle for which it is purchased. If your preliminary trip will be in a different vehicle than the one you will take for your long-term stay, you will need a separate Mexican Insurance for Autos from MexicanInsuranceStore.com. Mexican Insurance for Autos from MexicanInsuranceStore.com cpmes with Roadside Assistance throughout Mexico.